On February 7, 2016, while en-route from NY to Florida, at 3:30 PM the vessel was caught in a severe storm. The storm was classified as a category 2 hurricane equivalent, with extreme winds and rogue waves. The result was severe listing. Four passengers suffered minor injories. The ship operated on a 7 day Bahamas cruise round-trip from Bayonne New York with scheduled call ports Port Canaveral, Nassau and Coco Cay. Considering the rough sea conditions, Royal Caribbean decided to cancel the voyage and to return the ship to Cape Liberty. All passengers were given the option to immediately disembark or stay on board overnight. 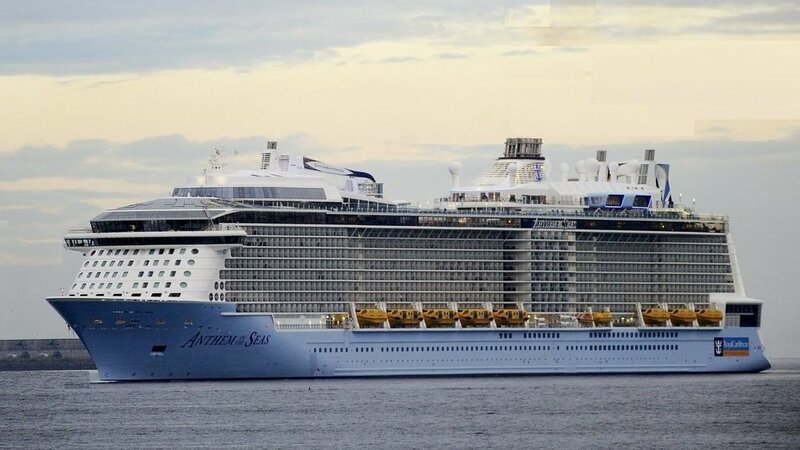 They were also fully refunded and given additional 50% in future Royal Caribbean cruises.. After the inspection, the USCG reported the vessel’s propulsion system was partially damaged during the storm. The portside azipod was rendered inoperable so the ship had to maneuver with a single thruster pod. On November 21, 2015, the ship returned a day early to homeport Bayonne NJ due to a major medical emergency. Via the PA system, the ship’s Captain only mentioned “four critically ill passengers,” stating specifically they were in critical condition. According to unofficial information, 3 of them had died. The incident occurred in the end of a 12 day Southern Caribbean cruise. On September 2, 2015, in the evening, via the PA system a code “Alpha” was alerted. The code “Alpha” means medical emergency. On the next day at 11 AM, a male passenger was medevaced together with his family by helicopter and flown ashore to a Portuguese hospital. During the airlifting procedure, all public areas and the sports facilities on Deck 16 aft were closed. The incident occurred in the Atlantic waters, off the Portugal’s coast. The ship was operating on a 14 day round-trip Mediterranean cruise itinerary.